Your teeth are made up of many different layers — each with their own special purpose. The innermost part of your tooth is called the pulp, and it’s comprised of sensitive nerves, arterioles, and tissues. This pulp can be damaged through trauma, like an injury or become decayed, and then your tooth requires a root canal. 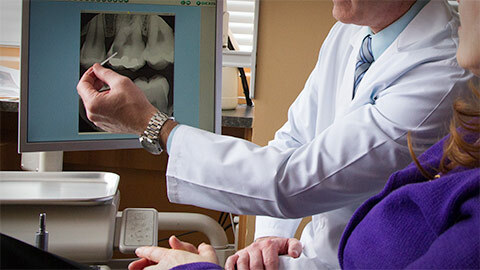 Root canals are often the target of jokes and horror stories, but they are actually very straightforward — and beneficial — procedures. Your dentist is able to save an injured tooth by extracting the damaged pulp and sealing off the space. It’s quick and relatively painless, and it’s much better than having your tooth extracted. At Kipling Queensway Mall Dental, we offer root canal procedures and other forms of endodontic treatments and therapies.